Daisy joined me one year ago, yesterday! it seems she has been part of my life for much longer than a year. Did you know cows curled up like this?!!? So darling. It still makes me laugh every time I see them in this pose. Beautiful snow-white cow with the most content look on her face (look at that smile!!). Makes me wish that she was just onside so I could curl up with her. We love your blather so we can’t wait! am loving the smile on her face as it says “I am so happy, thank you for everything…” keep up the wonderful work. She looks so peaceful…namaste sweet Daisy. What a lovely creature! I never thought I’d say a cow was beautiful. I mean they’re cute and soft, and I’ve always loved them, but she is just elegantly beautiful. No need to wonder why you are totally in love with her! She is absolutely, divinely, supernaturally, exquisitely lovely! Just absolutely beautiful – she is so lovely and I look forward to the blather!! I can’t tell you how much that picture touch’s my heart. I just want to hug her!! Love the picture. You have a way of capturing their spirits. Under the warm sun. Slumbering with mouth turned up in a sweet smile. Eyes closed with a dream behind them. I wonder what she dreams of? 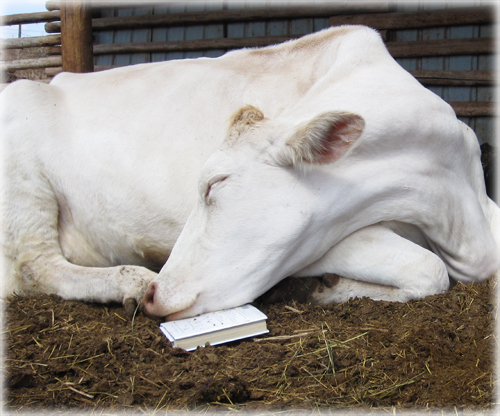 She really is a beautiful cow..and you can tell she is loved..I guess most cows given human contact and the chance could be like a big gigantic pet..giving love and curling up in the sun sharing a book with you…. THAT is a happy cow. a spectacular “eye”, all your love for your animals shines through. What amazes me is that Daisy is so white and yet Frisco is so dark. It is like ebony and ivory. Some books put me to sleep too!!!! Seriously, I never thought a cow could get to me the way that yours do!!!! I find them all fascinating! So serene… I want to cuddle her and kiss her pink nose. A picture of total bliss – how sweet! You just keep outdoing yourself! Gorgeous Daisy. 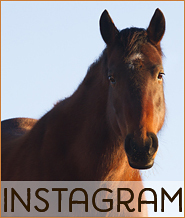 My gelding curls up like that – most of my horses do not – they sprawl out. But Patrick curls up most of the time – its so cute and kinds funny cause he’s such a big horse…. Speaking of books, I see that “blink” is on your bookshelf. I just finished reading (well, listening to actually, unabridged) Malcolm Gladwell’s newest one, “What the Dog Saw,” and it was great. It feeds those of us who are information junkies! If you like his writing, you will love this one. And I heart your Daisy. And Sir Baby. And Chloe. And Charlie, of course. And Goose. All of them. She is the Coco Chanel of cows ! What style, what coat and that little hat on her head is so great ! That is one contented cow. I’ll bet she never even thinks about her previous life. When animals curl up like this, I always think it’s because they want a hug and because they’re not getting one, they try to hug themselves. i LOVE that you love your cow. whenever you talk of her, i wonder if mc gets a kick out of you loving up your cow so much. Look at that cute little smile! She is like a Walt Disney character. Such a sweetie. Good title for that pic. I bet with that contented look, she gives the best sweet milk. Mary ~ MC loves her too! Like, LOVES her. Everyone who meets her, L-O-V-E-S her! In fact, I’ve thought she’d make a great therapy cow. Cuddle up with Daisy and all your sadness disappears……. If cows are capable of having old souls, Miss Daisy certainly possesses one. She is such a love! And how can she contort herself that way and possibly be comfortable?? If Daisy had wings she’d be a Cow Angel. Through you, I’ve come to love Miss Daisy and am so glad she has the life she does (unlike millions of cows whose personalities, are, I’m sure, as lovely). What a gorgeous animal, lovely in her massive grace. Surely similar animals must have inspired the cave painters and carvers of old. Would the title of the book be ‘Moot Point’? It’s no surprise that cows are sacred in some cultures. She looks heavenly. Every day I swear to myself I WILL NOT look at your web site before I do necessary chores (like getting dressed, etc.) but here I am, as I am almost every day, in my robe, drooling over your animals and wishing I were there to see them in person. Charlie brings a smile to my face and sometimes tears every day. And a picture with Ely in it a a very special joy. I am so happy that you have found this Eden and take the time every day to enjoy the uniqueness of it and then share it with us – how lucky we are!! 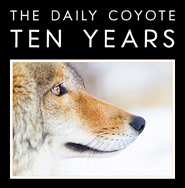 I am 77 yrs old, live in Arizona, and can’t remember a time when animals of all kinds were not my joy and salvation. One of my favorite pets was Sally, a goat given to me when she was still on a bottle, who played with me, comforted me, loved me unconditionally. I am so happy that your book popped up on Amazon when I was ordering Providence of a Sparrow, along with several books about animals. I read it last Fall and I think it’s about time to reread it. Thanks for sharking your life with me. Daisy looks like the model for a Nativity-scene cow, all curled up like that. You know, she curls up in a donut just like my dog does. Yet somehow, I don’t think her feet smell like Fritos the way my pup’s feet do (though Chloe’s might). Actually, it’d be interesting to see if Charlie’s paws have that popcorn/salty/cornchip smell that dogs’ feet have. Sniff test time!!! And anything you want to blath about, we’ll read. She is truly a wonderful, beautiful girl. I LOVE the smile on her big lips! “a character” – she reminds me of Io from Greek mythology. A nymph transformed. Of course, her animal disguise would radiate such lovely majesty. What adorable ears!